This is something a few people have asked for - now you can set up separate 'entry confirmation' emails for different entry types. For example, suppose you have a Half marathon with an adults' and a kids' race under the same Event. 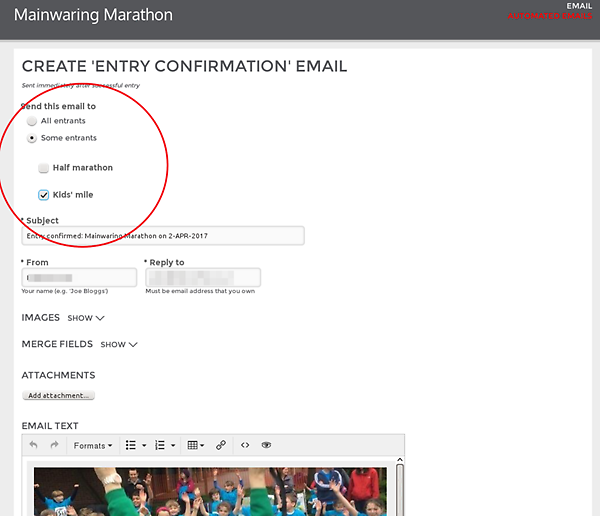 You want to send the half marathon entrants a PDF with their entry info, but a completely different set of instructions to parents entering their children. In the past you could have a single entry confirmation email that went to all entrants. 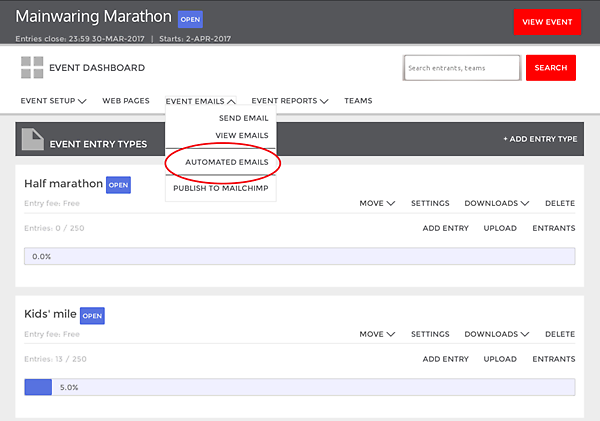 In the case of our Half Marathon example, you'd probably add different sections, one for each kind of entrant, but this wasn't completely satisfactory as any kind of confusion about when/where/which instructions-appy-to-them for entrants is a bad thing. That's it: here we've got one confirmation email sent to just the children and a different one that goes to other entry types; but you can set it up however you like.